So I'm looking out the window, staring at the snow-covered beehive, wondering if the little cluster of bees is warm and moving about, or if they're freezing and starving with food right over their heads. And then it occurs to me... there ISN'T food right over their heads. When I checked their food supply this weekend, I noted they'd eaten an area clean. "That must be where the brood nest is," I said to myself. "Three bars." And I closed up the hive. I should've pushed some chunks of fondant over. Bees need to be "in contact" with their food in Winter, so let's just hope this isn't a Lesson Learned. Speaking of which, I promised I'd fess up about my recent fondant problems. In my modern day life habit of rushing, I've not been waiting for the cooked syrup to cool down adequately. My controlled recrystallization hasn't been controlled well, so instead of tiny crystals producing a soft smooth fondant that can be shaped and manipulated, I've managed to create something closer to hard candy. Still usable but kind of a pain. It crumbles when I go to put it in the hive, so the planned quick visit takes twice as long. Lesson Learned? BE PATIENT. 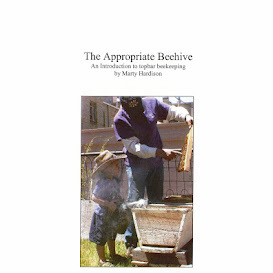 It's a basic beekeeping prerequisite. Now that we have the luxury of drawn comb, I may try a no-cook candy recipe: lay combs on their sides, pour granulated sugar into the cells, spritz with water. Not everyone is willing to talk about their mistakes, but that is how the rest of us learn. I've no bees in my hives..wax moths. Hopeing to get a swarm, March is the season in FL. If not then I will have to buy some. Love those bees.